Indianapolis, IN (Restaurant News Release) Steak ‘n Shake, America’s original premium burger and shake restaurant, is launching an amazing opportunity to achieve the American dream. The brand will franchise its over 400 existing restaurants to would-be entrepreneurs who want to be hands-on, single-unit owner-operators for an initial investment of $10,000 — dramatically less than the buy-in for most franchise systems. The offering to buy into the company as a franchise partner includes the requirement that applicants successfully complete an extensive six-month training program. The company is presenting this opportunity as part of a plan to shift the brand’s business model from majority corporate-operated to majority single-unit franchisee-operated in order to achieve operational uniformity by marshaling the efforts and strengths of entrepreneurs. Those interested in learning more or applying for the opportunity can email franchise@steaknshake.com, call 877-747-5329 or visit www.steaknshakefranchise.com. About Steak ‘n Shake Inc.
Steak ‘n Shake, a classic American brand, serves premium burgers and shakes at more than 600 restaurants across the country and around the world. Founded in 1934 in Normal, Illinois, Steak ‘n Shake pioneered the “better burger” segment of the restaurant industry, serving handcrafted, premium Steakburgers and hand-scooped milkshakes. Steak ‘n Shake is the recipient of the Golden Chain Award from Nation’s Restaurant News. Zagat has recognized Steak ‘n Shake as having the No. 1 Milkshake. 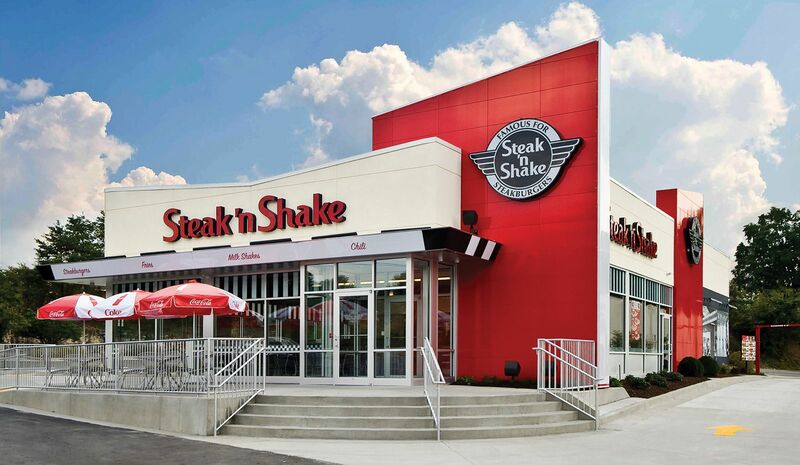 Steak ‘n Shake Inc. is a wholly owned subsidiary of Biglari Holdings Inc. More information is at www.steaknshake.com or on Facebook, Instagram and Twitter @steaknshake.